General and Cosmetic Dentistry of Tampa has provided the best dentistry to the Tampa Bay community for over 30 years. Our distinctly certified dentists are among the nation’s top 1% of dentists achieving such diversity of treatment, certifications and advances in dental technology. 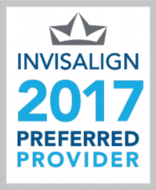 They are committed to providing exceptional dental care, including cosmetic treatments, oral sedation, and Invisalign®. Our advanced training, cutting edge technology, skilled techniques and artistic abilities have been key to providing our patients with beautiful, healthy smiles. Our team of Dentists, Dental Hygienists and Dental Assistants stand ready to provide you with unmatched medical care and convenience on a complete range of dental services at location conveniently located near you. Dr. Randall Diez, our senior practioner and founder, is committed to offering only exceptional General and Cosmetic Dentistry and has been trained to provide more advanced dental care including: Invisalign®, PerioLase® (LANAP) – Laser Gum therapy, Sedation Dentistry, DIAGNOdent Laser Cavity Screening, and CEREC® -same day crowns. In 2014, Dr. Diez was also among the first 25 dentists in the world to be trained by Dr. Chao in the Pinhole Gum Rejuvenation® for treating gum recession. Unlike traditional grafting techniques, PST® is incision and suture free. Dr. Diez has performed hundreds of successful PST® surgeries since his training. Whether you are here for a routine dental exam, dental cleaning, or general procedures such as CEREC® – same day crowns, Root Canal Therapy, Veneers, or the most comprehensive smile makeover, it is our goal to ensure your complete satisfaction with your experience in our office.